The name of this organization is the American Society of Plant Biologists (ASPB), formerly the American Society of Plant Physiologists, hereafter referred to as the Society. The Society was incorporated in the District of Columbia, United States of America on June 14, 1932. The purposes of this organization are to encourage and to promote the growth and development of plant biology as a pure and applied science of the life processes of plants, to publish the results of meritorious research in plant biology, and to promote the general welfare and good fellowship of plant biologists and related scientists. The Society shall remain a scientific organization without the object of financial gain. Membership is open to plant biologists and other scientists of all nations and to any other person or organization in sympathy with the purposes of the Society. The Society consists of its individual members and supporting organizations. Individual membership includes members, life members, emeritus members, corresponding members, postdoctoral associate members, graduate student members and undergraduate student members. Organizations or individuals who wish to support the Society, but not to participate as active voting members, may do so as patron or sustaining members. Members join the Society by application and payment of dues. Life members contribute to an endowment fund, or the Society makes the contribution as an award, which thereafter pays the annual dues for the life member. Emeritus membership (dues free) is awarded, upon application, to retired persons who have reached age sixty-five and who have been Society members continuously for twenty years or more. Corresponding memberships are honorary awards, conferred by election on distinguished non-U.S. plant biologists. Postdoctoral associate memberships are open to persons who have received their doctorates and are employed as postdoctoral associates. Graduate student memberships are for those pursuing a degree in the field at the graduate level. Undergraduate student memberships are open to students actively pursuing degrees in plant biology or a related science. Patrons make single, unrestricted contributions to the Society; sustaining members make annual contributions. The specific requirements, including the amount of dues, for membership in the several classifications and the entitlements of membership shall be published by the headquarters office in the annual directory of members. All individual members, except sustaining members, have the following rights: to vote in all elections except those restricted to sections of the Society; to be nominated for and to be elected to any office or committee; to be appointed to and to serve on committees; to serve as an official representative of the Society. The right to serve the Society is restricted to members and employees, and is subject to such qualifications or requirements as may be established for an office or committee by the council and approved by the board of directors. Geographical, disciplinary, or affinity group sections of the Society may be formed upon petition by at least three percent of the Society members. After approval of the petition by the council and the board of directors, the section may organize under probationary status for three years, after which the board of directors will approve or disapprove permanent status, or extend the probationary status for an additional three years. If a section fails to be approved for permanent status after the second probation, it shall be disbanded. Sections of the Society have full autonomy in their organization and activities, provided that these do not conflict with the provisions of this Constitution and Bylaws. Publications of the sections (print, film, or electronic), which can be construed as publications of the Society as a whole, must be approved by the publications committee. Any section which fails to maintain a minimum number of active members of the Society equal to one percent of the voting Society membership shall have its representation on the council terminated. At least one meeting of the Society is to be held annually at a time and place arranged by the executive director in consultation with the program committee and approved by the board of directors. Other meetings of the Society may be held as required with the approval of the board of directors. The officers of the Society are president, president-elect, secretary, and treasurer. The president-elect serves as vice president. Terms of office begin October 1 each year. The president and president-elect serve for one year, after which the president becomes immediate past president and the president-elect advances to the office of president. No person may serve as president more than once. The secretary-elect is elected for a term of one year, which is followed by a two-year term as secretary, and a final year as immediate past secretary. The treasurer is appointed for a term of three years by the president with the approval of the board of directors and is eligible for reappointment. The treasurer and other officers, appointees, or employees entrusted with funds of the Society shall be bonded by the Society as directed by the board of directors. A call for nominations for the office of president-elect shall be sent to all individual members no sooner than October 1 and no later than December 31 each year, and for secretary-elect and member of the board of directors on alternate years. The call shall be sent from Society headquarters with the approval of the president-elect, who, acting in her or his capacity as chair of the nominations committee, shall be the responsible officer in the nomination and election processes of the Society. A member may nominate only one person for each office. To be valid, nominations must be submitted online within forty days of announcing the call for nominations. For each position the member receiving the highest number of nominations, and agreeing to run and then to serve if elected, is to appear on the ballot. A person nominated for more than one office shall appear on the ballot only for the highest position, in the order: president-elect, secretary-elect, board of directors member. The nominations committee shall provide one additional nomination for each position, the nominee agreeing to run and serve if elected. Thus, two nominees are provided for each office to be filled, one from the membership at large, and one from the nominations committee. There shall be no indication of the source of the nominations. There will be three elected members of the board of directors. Two members are elected by the membership at large to a four-year term, and one member is elected by the council from among its members to a renewable one-year term. When the proportion of ASPB members residing outside the US exceeds one-third of the total membership, then one of the two at large members must also be a non-US resident at the time of the election. There are no restrictions on the residency of the other at large member. The ballot shall be prepared by direction of the president-elect with assistance of headquarters office personnel. A person already holding an office by election or interim appointment may not be declared nominated for that same position. A person with an unexpired term on the board of directors may be nominated or appointed to a second position which also confers membership on the board of directors, but must resign one of the two positions if elected or appointed. The ballots shall be made available to members online in sufficient time to conclude the election at least four weeks prior to the annual meeting. At the close of the election the ballots will be counted and certified by the president-elect and two other members of the Society appointed by the president. The names of those elected will be promptly transmitted to the president, who shall announce them no later than the annual meeting. Tie votes in either the nomination or election are to be resolved by a vote of the board of directors. In case of death or disability of a secretary, treasurer, or elected member of the board of directors, the office shall be filled ad interim by the board of directors. In the case of a vacant presidency, the president-elect shall assume the office and serve in it through the succeeding term. A vacancy in the office of president-elect must be filled by election. There shall be thirteen standing committees: a board of directors, a council, a program committee, a board of trustees, a publications committee, an education committee, a nominations committee, a constitution and bylaws committee, a women in plant biology committee, a science policy committee, a minority affairs committee, a membership committee, and an international committee. The executive director is a non-voting member of all of the standing committees of which she/he is a member. The board of directors shall consist of the following ex-officio members: the president; the president-elect who chairs the committee; the secretary; the treasurer; and three elected members, two of whom are elected by the ASPB membership at large and one of whom is elected by the council from among the council’s members. The council shall consist of the following ex-officio members: the president; the immediate past president, who chairs the committee; the president-elect; the secretary; the treasurer; the chair of the women in plant biology committee; the chair of the publications committee; the chair of the minority affairs committee; the chair of the membership committee; the chair of the international committee; the chair of the education committee; and the chair of the science policy committee. The two elected members of the board of directors also serve a four-year term on the council. In addition, there shall be a voting representative from each section of the Society who shall be elected by the section for a non-renewable three year term. Sectional representatives, with approval of the president, may send a voting substitute to council meetings, but no predetermined proxy or absentee votes may be submitted for such meetings. The program committee shall consist of the secretary, who serves as chair, the president-elect, either the secretary-elect or the immediate past secretary (depending on year in the election cycle), and four members appointed by the president, one each year for a period of four years. The board of trustees shall consist of four members appointed by the president with the approval of the board of directors, one each year for a term of four years, and one of whom the president designates treasurer and chair. The publications committee shall have five members appointed by the president with the approval of the board of directors, one each year for a period of five years, and one of whom the president designates chair. Committee members may not be editors or associate editors of any Society publication. The education committee shall have eight members appointed by the president, each for a period of four years, and one of whom the president designates chair. The nominations committee shall consist of the president-elect (chair), president, and immediate past president. In the event that the immediate past president is nominated (and accepts) at-large for an office (secretary-elect or elected member of the board of directors), the president shall appoint a replacement from the elected or representative members of the council. The constitution and bylaws committee shall consist of three members, one appointed each year for three years by the president with the approval of the board of directors and one of whom the president designates chair. The women in plant biology committee shall consist of six members appointed by the president, two each year for a period of three years, and one of whom the president designates chair. The science policy committee shall consist of the immediate past president and eight members appointed by the president, two each year for a period of four years, and one of whom the president designates chair. The minority affairs committee shall consist of six members appointed by the president, two each year for a period of three years, and one of whom the president designates chair. The international committee shall consist of six members appointed by the president, two each year for a period of three years, and one of whom the president designates chair. A non-voting liaison of the ASPB support staff may also be appointed by the Executive Director to the international committee on an annual basis. The membership committee shall have five members appointed by the president and one of whom the president designates chair. The committee would include at least one representative from each of the following membership categories: a member representing the postdoctoral associate membership of the society and a member who represents the graduate student membership of the society. Each member of the committee shall serve a four-year term with the exception of two members, one representing the postdoctoral associate membership and the other the graduate student membership, each of whom will serve two-year terms. Individuals elected by the ASPB sections to represent sectional interests to the ASPB council will be assigned to the membership committee as ex-officio members but, at the discretion of the president, may also serve as standing members of the membership committee. The Society shall have two classes of endowments: (a) specific endowments to support awards, prizes, honorary memberships, life memberships, and special programs to promote plant biology, and (b) a general endowment, income from which is available for general needs and functions of the Society. Endowment funds are to be invested under the direction of the board of trustees. Endowment funds for specific purposes may be established by the board of directors, either from the resources of the Society or from gifts or bequests. Gifts or bequests accepted by the board of directors shall be for purposes compatible with the purpose of the Society as given in Article II, and, within this limitation, shall be administered in accordance with the wishes of their donors. Awards, prizes, honorary memberships, and recurring special programs normally shall be supported by specific endowments. Special programs shall be reviewed by the council at ten-year intervals. After review, a program may be terminated by the board of directors, pending support by two-thirds of the voting membership. Endowment funds released by termination shall be transferred to other specific endowments or to the general endowment as recommended by the board of trustees and approved by the board of directors. The general endowment is to provide a basic level of investment income for Society functions, and to serve as a reserve fund against emergency demands. Ordinarily, only the income from the endowment may be used, but, in an emergency, the board of directors, by two-thirds majority voting, may authorize utilization of part or all of the general endowment capital. The treasurer shall have the accounts of the Society audited as of the close of each fiscal year, December 31. The auditor’s report shall be examined by the board of trustees, and, if accepted, shall be transmitted to the board of directors for approval. A summary of the approved report will be submitted by the treasurer to the Society members at the annual business meeting, at which time the treasurer shall also make a supplementary report on the status of the treasury. Proposals for amending this constitution may be submitted in writing by any member, group of members, or committee to the constitution and bylaws committee not less than two months before the annual election. The constitution and bylaws committee shall provide appropriate language for such proposals, as needed, and shall submit them with an evaluation and recommendation to the council. Upon approval by two-thirds of the council voting, the amendment(s) will be placed on the annual ballot, and adopted if approved by two-thirds of the members voting. a. The president shall preside over the board of directors and the meetings of the Society, and, in consultation with the secretary, shall prepare the agenda for these meetings. The president shall appoint, charge, and receive reports of all committees, and assure that the membership is informed of reports and actions taken. The president will confer with the headquarters office and the board of trustees as they prepare the annual budget. In all ways, the president will provide leadership to the Society. b. The immediate past president shall preside over the council, and, in consultation with council members and staff, shall provide leadership in the generation and maintenance of the Society’s strategic plan as elaborated in Section 2b. c. The president-elect shall assume the duties of the president in the absence or disability of the latter, and shall succeed to the presidency when the president retires from office. The president-elect shall supervise the nomination and election processes, assuring the Society that these are fair and equitable, shall serve as chair of the nominations committee, and shall serve ex officio on the program committee. d. The secretary, as chair of the program committee, shall plan, arrange, and publicize the programs for all meetings of the Society, and keep and make available to the members the minutes of these meetings. The secretary shall keep and make available the minutes of board of directors and council meetings. e. The treasurer, as chair of the board of trustees, shall supervise all financial transactions of the headquarters office, and account for these to the council, the board of directors, and the membership. The treasurer is a voting member of the board of trustees. a. The board of directors is the Society’s decision-making body; it has authority to act on all matters not reserved to the council or to the Society as a whole. The board of directors is charged with maintaining the activities of the Society in furthering the science of plant biology. Decisions of the board of directors require a quorum of six voting members and the majority of votes cast, unless otherwise directed herein. b. The council is the Society’s deliberating body; it provides leadership and guidance in setting the overall direction of the Society via the strategic plan. The council evaluates novel program, product, and service concepts in the context of the strategic plan and through its comprehensive sense of the Society’s directions and priorities, makes recommendations to the board of directors accordingly. c. The program committee, chaired by the secretary, shall plan, arrange, and publicize the annual programs of the Society. d. The board of trustees shall oversee the investments of the Society, and shall prepare the annual budget for the board of directors’ approval. The trustees share with the treasurer the responsibility for the financial stability of the Society. e. The publications committee shall supervise and report to the board of directors on all non-editorial aspects of the Society’s journals and other publications, including budget requests and printing contracts arranged by the editors and the headquarters office. The publications committee shall search and make recommendations to the board of directors on appointment of editors-in-chief of the journals or other publications, and shall review and make recommendations to the board of directors for their reappointment after each five years’ service. Members of an editorial board of a journal or other publication shall be appointed for up to five years of service by the publications committee on the recommendation of the editor-in-chief. f. The education committee, through seminars, publications, lectures, or other appropriate means, shall promote and improve the teaching and public awareness of plant biology as a constantly expanding science. g. The women in plant biology committee has as its function the maintenance and enhancement of the status of women plant biologists by continuing to address issues of particular concern to women scientists and to promote the inclusion of female plant biologists in all aspects of our Society and profession. h. The science policy committee shall explain the interests of plant science to the U.S. Congress, Executive Branch and the public. The science policy committee will provide comments to appropriate members and committees of Congress; coordinate interaction with officials in Congress and federal agencies; assist Society members in contacting and providing educational information to policy makers; develop a strategy and objectives for support of basic plant science and coordinate efforts with other plant science societies and related groups; and ensure Society public affairs efforts are consistent with applicable laws. i. The membership committee has as its function the maintenance and enhancement of the membership of the Society by continuing to address issues of recruitment of new members and retention of those presently enrolled, and to provide membership services and benefits that are consistent with the strategic plan and the council’s priorities and that meet the approval of the board of directors of the Society. j. The minority affairs committee works to broaden participation in plant biology by members of underrepresented groups. It works to address issues of particular concern to underrepresented minority scientists and their supporters and to promote the inclusion of minority plant biologists in all aspects of the Society and the profession. k. The constitution and bylaws committee is charged with maintaining and, as necessary, recommending updates to the Society’s constitution and bylaws. The committee’s recommendations are reviewed by the council and voted on by the board of directors, as described elsewhere in this document. l. The international committee has as its function exploring and, where consistent with the strategic plan and Society priorities, developing relationships between ASPB and other organizations based outside the United States. m. The nominations committee is charged with carrying out the annual nominations procedures, as described in Article VII of the Society’s constitution. a. The Gude Plant Sciences Center, Rockville, Maryland, which was given to the Society by the Adolph E. Gude, Jr. family, is maintained as the national headquarters of the Society. The headquarters office is headed by an executive director employed for the Society by the board of directors. Support staff are employed by the executive director as authorized by the board of directors. b. The executive director has general responsibility for maintaining efficient business practices in the headquarters office. Under the supervision of the president, treasurer, and secretary, the headquarters staff shall make and record all financial transactions, maintain membership and subscription records, prepare the newsletter and the annual directory, handle non editorial business associated with publications, prepare accounts for the annual audit, prepare budget materials for the board of trustees, maintain the Gude Plant Sciences Center, plus such other duties that may arise. The headquarters office shall negotiate and arrange meeting sites, assist in the annual nomination and election procedures, inform the membership of activities and events of interest, publicize employment opportunities, and negotiate and supervise the printing of journals and books. The executive director shall be a non-voting member of all standing committees, except the nominations committee, and at the discretion of the president may be appointed in the same capacity to ad hoc committees. In all these activities the executive director shall work closely with the Society’s officers and committees, providing continuity and experience to their functions, and, in general, serving as a resource person for smooth transition during the annual change of officers. Membership dues and subscriptions shall be set by the board of directors after consultation with the council and the board of trustees. The board of directors shall establish the minimum contributions for patron or sustaining membership. The annual directory shall contain information on the specific requirements for membership, and for dues, subscriptions, and contributions. The ultimate authority in the Society lies with the membership, and is expressed by mail ballot or votes cast at the annual meeting of the membership. Twenty-five members in attendance at the annual business meeting of the Society shall constitute a quorum to transact any necessary business. Action taken at the annual meeting stands unless within six months a minimum of two percent of the membership petitions the president to have the action submitted to the Society for ratification by mail ballot. a. The Charles Reid Barnes Life Membership Award. This is the oldest award, established in l925 at the first annual meeting of the Society through the generosity of Dr. Charles A. Shull. It honors Dr. Charles Reid Barnes, the first professor of plant physiology at the University of Chicago. It is an annual award for meritorious work in plant biology; it provides a life membership in the Society to an individual who is at least sixty years old. Membership is a requirement for the award, and, if appropriate, every fifth award should be made to an outstanding plant biologist from outside the United States. b. The Stephen Hales Prize. This award honors the Reverend Stephen Hales for his pioneering work in plant biology published in his 1727 book Vegetable Staticks. It is a monetary award established in 1927 for an ASPB member who has served the science of plant biology in some noteworthy manner. The award is made annually. The recipient of the award is invited to address the Society on a subject in plant biology at the next annual meeting. c. The Charles F. Kettering Award. This award was established by an endowment from the Kettering Foundation in 1962 to recognize excellence in the field of photosynthesis. It is a monetary award to be given to an individual, whether or not a member of the Society, in even-numbered years. d. The Charles Albert Shull Award. This award was initiated in 1971 by the Society to honor Dr. Charles A. Shull, whose personal interest and support were largely responsible for the founding and early growth of the Society. It is a monetary award made annually for outstanding investigations in the field of plant biology by a member who is generally under forty-five years of age on January 1st of the year of presentation, or is fewer than ten years from the granting of the doctoral degree. Breaks in careers will be considered when addressing the age limit of this award. The recipient is invited to address the Society at the annual meeting the following year. e. The Adolph E. Gude, Jr. Award. This monetary award honors the Gude family, who made possible the establishment of the Gude Plant Science Center. The award, established by the Society and first given in 1983, is to be made triennially to a scientist or lay person in recognition of outstanding service to the science of plant biology. Membership in the Society is not a requirement for the award. f. The Dennis Robert Hoagland Award. This monetary award, established by the Society in 1985 with funds provided by the Monsanto Agricultural Products Company, honors Dr. Dennis R. Hoagland, recipient of the first Hales award, for his outstanding contributions and leadership in plant mineral nutrition. The award, to be made not more frequently than triennially to an individual, whether or not a member of the Society, is for outstanding plant research in support of agriculture. g. Corresponding Membership. 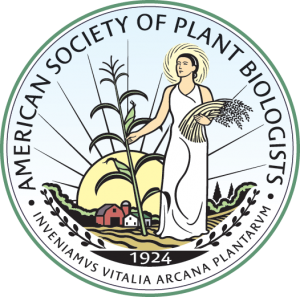 This honor, initially given in 1932, provides life membership and Society publications to distinguished plant biologists from outside the United States in recognition of their contributions to ASPB and to plant biology. The honor is conferred by election on the annual ballot. The committee selects no more than three (3) candidates, and these are placed on the ballot for approval of corresponding membership by majority vote. The president notifies successful candidates of their election. Election of a corresponding member is to be considered each year, and held if warranted, provided the election will not increase the number of corresponding members beyond two (2) percent of the dues-paying membership. Membership is a requirement for this award. h. The Excellence in Education Award. This award, initiated in 1988, recognizes outstanding teaching, mentoring, and/or educational outreach in plant biology by an individual, whether or not a member of the Society. It is a monetary award to be made annually in recognition of excellence in teaching, leadership in curricular development, or authorship of effective teaching materials in the science of plant biology. i. The Martin Gibbs Medal. This monetary award, initiated in 1993, honors Martin Gibbs for his outstanding service to the Society as editor-in-chief of Plant Physiology from 1963 to 1992. This award is to be given biennially to an individual, whether or not a member of the Society, who has pioneered advances that have served to establish new directions of investigation in the plant sciences. The recipient is invited to organize a symposium at the annual meeting the following year. j. The Early Career Award. The Early Career Award was instituted by the Society in 2005 to recognize outstanding research by scientists at the beginnings of their careers. This award is a monetary award made annually for exceptionally creative, independent contributions by an individual, whether or not a member of the Society, who is generally not more than seven years post-Ph.D. on January 1st of the year of the presentation. Breaks in careers will be considered when addressing the time limit of this award. k. The Lawrence Bogorad Award for Excellence in Plant Biology Research. The Lawrence Bogorad Award for Excellence in Plant Biology Research was instituted by the Society in 2006 to honor Dr. Bogorad’s many contributions to plant biology, including his influential efforts to bring the techniques of molecular biology to bear on problems in plant biology; his groundbreaking research on chloroplast genetics, bio-genesis, structure, and function; and his inspired teaching and mentoring. The ASPB Lawrence Bogorad Award for Excellence in Plant Biology is a monetary award made biennially to a plant scientist, whether or not a member of the Society, whose work both illuminates the present and suggests paths to enlighten the future. l. Fellow of ASPB Award. Established in 2007, the Fellow of ASPB Award may be granted to current members in recognition of direct service to the Society and distinguished and long-term contributions to plant biology. Areas of contribution may include education, mentoring, outreach, research and professional and public service. Examples of relevant Society service include, but are not restricted to, service on or on behalf of ASPB committees, service on editorial boards of ASPB journals, and active involvement in ASPB meetings. Current members of ASPB who have contributed to and been members of the Society for at least 10 years cumulative prior to their nomination are eligible for nomination. Recipients of the Fellow of ASPB honor, which may be granted to no more than 0.2% of the current membership each year, receive a certificate of distinction and a lapel pin. m. Eric E. Conn Young Investigator Award. The Eric E. Conn Young Investigator Award, first given by the Society in 2011, honors Eric E. Conn’s contributions in plant biology by recognizing young scientists who will be inspired to follow in his footsteps. The award recognizes not only outstanding research but also demonstrated excellence in outreach, public service, mentoring, or teaching by plant scientists at the beginning of their careers. This award is a monetary award made biennially for demonstrated commitment by a member of the Society who is generally not more than five years post-Ph.D. on January 1st of the year of the presentation. It also provides a one year membership to the Society. Breaks in careers will be considered when addressing the time limit of this award. n. Robert Rabson Award. The Robert Rabson Award, first given by the Society in 2012, recognizes Bob Rabson’s steadfast advocacy of plant biology through creation of funding programs in the Department of Energy for research in basic energy sciences. The award recognizes postdoctoral scholars and faculty-level early career scientists, whether or not members of the Society, in academic, government and corporate research institutions who have made excellent contributions in the area of bioenergy research. The award is made biennially to a researcher who is no more than five years post-PhD on January 1st of the year of presentation, with consideration of breaks in career relative to this time-frame. The award recipient is given a monetary award and a one-year membership in the Society. o. Summer Undergraduate Research Fellowship. The Summer Undergraduate Research Fellowship (SURF) was inaugurated in 2001 to recognize and support undergraduates showing promise in the pursuit of science. It is an annual monetary award that allows recipients at both primarily undergraduate and major research institutions to carry out meaningful research in plant biology early in their undergraduate experience. The award includes support for the recipients’ mentors, who must be ASPB members. Communicating about science is also integral to the fellowship, so SURF recipients must present a research poster at the ASPB Plant Biology meeting the year following their fellowship. Recipients of SURF awards receive complimentary membership upon receipt of the award through the following year, in which they present their research at the Plant Biology meeting. p. The ASPB Innovation Prize for Agricultural Technology. This prize was inaugurated in 2015 to recognize the outstanding work of industry scientists in companies of all sizes who translate discovery research into real-world outcomes that benefit agriculture. The award additionally acts as a vehicle to increase the awareness of the highest quality science performed by industry scientists, whether or not they are members of the society upon nomination, and showcases the opportunities and rewards of this career path. The Innovation Prize, which is made biennially, is a monetary award that also provides a one-year membership in the Society. Amendments to these bylaws may be made upon recommendation by the council and by a two-thirds vote of the board of directors.